There are plenty of opportunities for artists and musicians to compete with each other, whether it's for chart positions, record sales or performance slots. But when one of their own is in need, much like any other family, they rally to offer any assistance they can. And when Nathan Johnson, who plays in Christian rocker Josh Wilson's band, experienced a tragedy, everyone turned out. 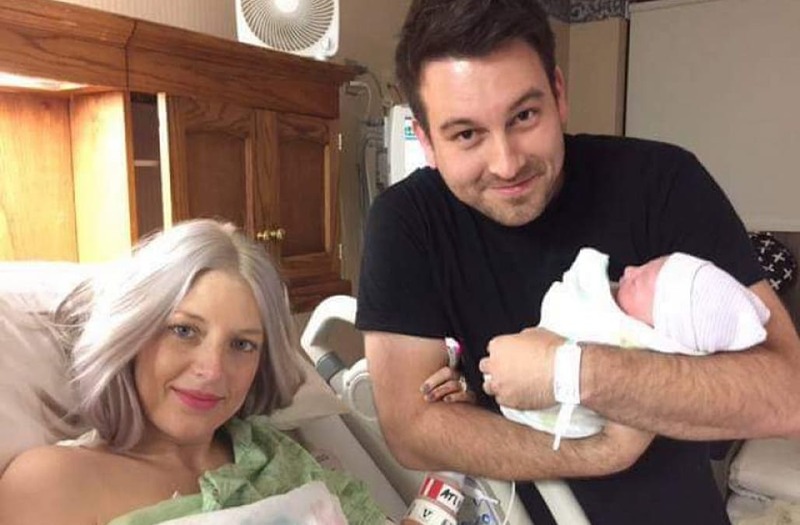 Nathan and wife Meg welcomed their first child, a little girl named Eilee Kate, on June 27. It seemed their perfect family was complete. According to Josh, Eilee arrived in the wee hours of the morning. "The delivery was beautiful and smooth," he writes on a GoFundMe page. "Nathan and Megan got to be together with Eilee for about six hours. Megan held, fed and burped little Eilee. Nathan says they couldn't sleep because they were too excited. They talked all night and morning." At about 9 or 10 a.m., Meg started having trouble. By 11 a.m., she had passed away. According to the St. Louis Post-Dispatch, Meg, who was from that area, had received a heart transplant seven years ago, making hers a high risk pregnancy. Josh set up the GoFundMe page to ensure that Nathan would be able to stay off the road for the first six months of Eileen's life. However, the outpouring of support, love and money has been so overwhelming he had to amend the amount three times, and it's looking like generous donors have now raised more than $300,000. As touching as this is, we can't forget about the overwhelming loss this family has suffered that can't be assigned a value. Our prayers remain with Nathan, Eilee and their family.